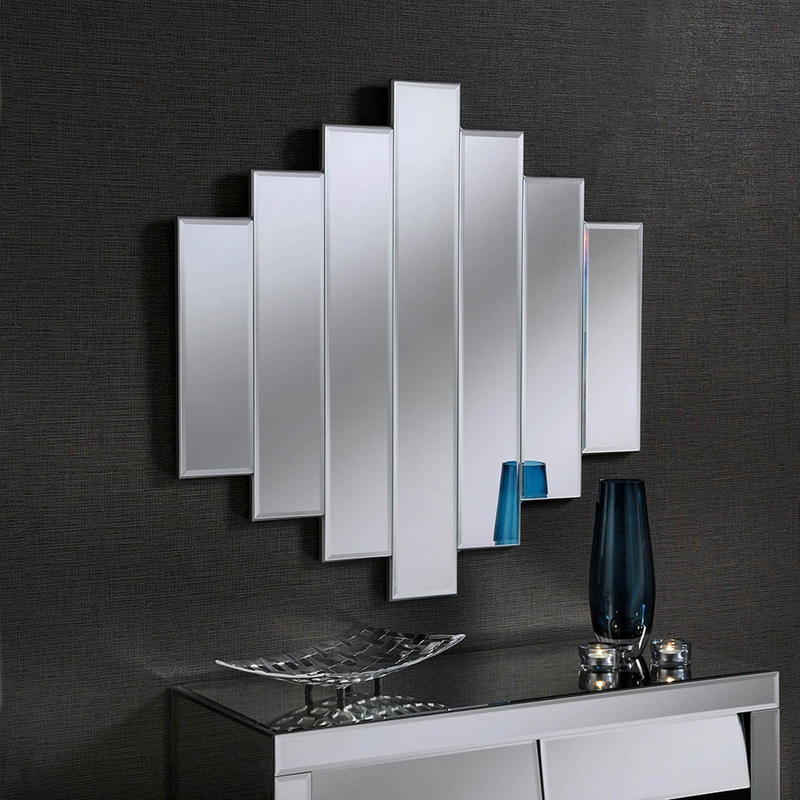 Introducing this angelic , beauteous , mirror adding to our brand new contemporary mirror range. This mirror is very unique in its own way and has a very rare structure with its 7 panelled design. This mirror would go miraculously well with any type of furniture from French Furniture to Mirrored Furniture. This would stand out against the crown as it is a beautiful piece and would instantly be noticed by everyone who set eyes on it. You wouldnt want to regret not buying this astounding product.